The Clearswift Information Governance Server (IGS) lies at the heart of the Clearswift Aneesya Platform. Deployed centrally in an organization, it integrates with your own environment for enterprise single sign on and support for Clearswift SECURE Gateways, augmenting their Adaptive Data Loss Prevention functionality. Work for Clearswift Information Governance Server? Learning about Clearswift Information Governance Server? 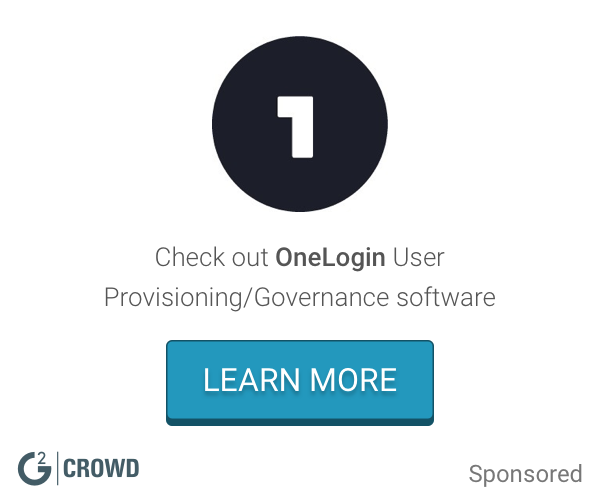 What User Provisioning/Governance solution do you use? HID Identity Assurance portfolio delivers a full range of authentication and credentialing options that help you gain confidence in your users’ identities and effectively protect access to all your physical resources, internal networks, systems and services, and public and private cloud-based applications. Access Control Manager (ACM) helps organizations keep people, property and assets safe with an easy-to-use, role-based system that can grow with you. It has the flexibility to work with the systems you already have, which helps eliminate extra work and increase productivity. Using a business-driven approach, RSA Aveksa’s solution integrates access governance, provisioning, authentication, and single sign-on (SSO) in one platform. Whether on-premise or in the cloud, the platform reduces risk and complexity while improving security, visibility, and compliance. SMACS by Stack8 is a productivity tool for Voice Operations Teams to facilitate moves, adds, and changes instantly within Cisco’s Unified Communications Manager, Unity Connection, and Unified Communications Manager IM & Presence applications. The user interface is so intuitive that you don’t need any Cisco experience to perform basic requests: it’s designed with the user in mind and the task at hand. Holaspirit is a web platform designed for teal organisation, especially Holacracy practitioners. The software provides more than 200+ reports ready to use without using Powershell scripts. With automated and actionable reports straight to your Desktop, the truly multi-purpose solution offers unsurpassed customization and usability of its report data for collaboration and sharing, ensuring smooth and optimal functioning of your Office 365. Symantec Workspace Streaming is an application streaming solution used to enable on-demand application provisioning, real-time software license management and instant application upgrades. * We monitor all Clearswift Information Governance Server reviews to prevent fraudulent reviews and keep review quality high. We do not post reviews by company employees or direct competitors. Validated reviews require the user to submit a screenshot of the product containing their user ID, in order to verify a user is an actual user of the product. Hi there! Are you looking to implement a solution like Clearswift Information Governance Server?